Parenthood is often described as a journey - but we’re here to tell you that along with all the good stuff, some days can feel more like a wild and crazy expedition than a walk in the park. This is why it’s important for you and your partner to prepare yourselves for the most common challenges that parents face, and know how to work through them as a team. Because when you do, that’s when you’ll all start to really thrive! but not for your marriage. If you're planning on doing education sessions through your local hospital, ask first if they cover early parenting skills and co-parenting relationship information. If they don’t, request that they consider adding it in - because research shows this preparation is good for your birth experience and also for actually adjusting to your new life after you get your baby home. That’s HUGE! Some educators are more experienced and comfortable talking about these topics than others. Your midwife or other care provider might be able to provide this information instead, so ask them. Other options to consider are hiring a private educator, doula, or even a relationship coach who specialises in early parenthood. Ask your provider to equip you with information on how to prepare for your recovery in the postpartum weeks (often called the “fourth trimester”), how to build up a support system, manage breastfeeding (it’s harder than it looks! ), how to soothe and settle bub and education on how to minimise risks for perinatal mood disorders such as anxiety and depression. 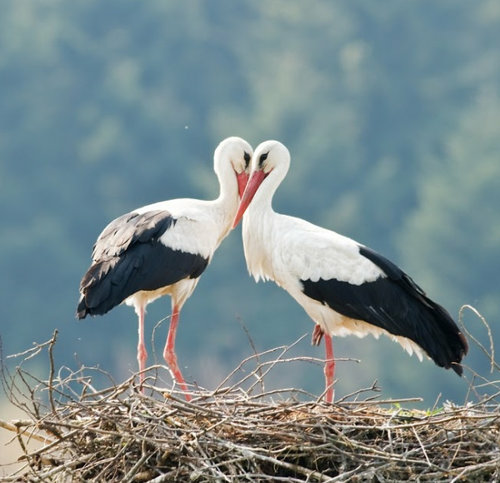 With this information you can plan ahead for your new life a little more and focus on the most important things: nesting, resting and bonding. That’s the best start for your whole family - and for you all well into the future! Find our FREE seven page fully customisable post-partum plan to help build YOUR nest, at the end of this article. Start a family-friendly exercise routine that you can pick up again after bub comes. Exercise is a great for managing normal new parent stresses! Know that the two of you aren’t likely to be able to handle it all all the time, especially at the times when bub or one of you is sick. Make a list of people you can count on to do chores, shopping, cooking etc. to take the pressure off. Don’t expect life to get back to normal. It’s up to the two of you to work together to create the “new normal” for your family. Life after baby isn’t so much about “getting back on track” as forging a new path! This will take some time. Self-care and couple-care is important. Support each other in resting, taking breaks, having time out and time together too. Expect to learn. Parenthood is like going to a place you’ve never been before, and experiencing things you’ve never experienced. So don’t try to be experts and do things perfectly. Your baby doesn’t care about that. Be learners, explore, experiment, stuff up, support each other - and you might just find that’s half the fun!